When Lars Zimmer walks through his village, he hardly recognizes the place any more. The bakery, the pub, the street signs, they’re all gone. The only things left are the streets, vast empty lots and. in the center, the Immerath Cathedral, which recently saw the cross dismounted from its steeple. There’s nothing much left of Immerath, the place where Zimmer grew up. The village, which lies between the cities of Aachen and Düsseldorf, was once home to 1,500 residents, but only around 20 remain. Zimmer is holding on until the excavators arrive and energy giant RWE swallows up the village into the Garzweiler II lignite mine. “It’s my way of protesting,” he says. For years, gigantic bucket-wheel excavators have been moving northwards toward Mönchengladback, the city located not far from Germany’s border with the Netherlands. They are following the coal seams that lie just below the surface — and destroy the forests, fields, farm houses and villages that lie in their path. Obstructions are simply torn down and rebuilt elsewhere while people are resettled. Zimmer has become the public face of his home town’s resettlement. He’s been interviewed by foreign reporters and filmed walking through the ghost town. Then in May, he treceived an important visitor from Berlin. Green party co-leader Katrin Göring-Eckardt was looking for a suitable backdrop to criticize lignite mining. Even more journalists came along with her to hear her say things like: “It is depressing to watch a place that has been slated for resettlement slowly empty out.” Then she sat with Zimmer under the apple trees in his garden as he spoke about the “huge catastrophe” that was approaching step by step. But Zimmer has regained a “glimmer of hope,” he now says. After all, brown coal is back in the news. Earlier this month, 25,000 delegates from 170 countries attended the COP23 conference in Bonn to discuss the Paris climate agreement. As part of that accord, Germany committed to reducing its greenhouse gas emissions by 40 percent by 2030, relative to the 1990 levels. That would mean a death sentence for the massive excavators. And coal has also been an issue in Berlin. Göring-Eckart’s Green Party had made sure to insert it into the negotiations aimed at assembling Germany’s next governing coalition — talks that collapsed dramatically on Sunday night. But the issue isn’t just a matter for the Greens. Whoever forms the next government will have to deal with the country’s lignite problem – and not just from an ecological perspective, but also from an energy point of view. Lignite, that dark brown, brittle material which once fueled Germany’s economic miracle, should really be obsolete in a world that claims it wants to end its reliance on fossil fuels. Nevertheless, 100,000 tons are dug out of the ground just beyond Zimmer’s garden fence every day. And each year, 170 million tons of brown coal are mined in Germany and used to produce almost a quarter of the country’s total electricity output. Yet the once vital energy source has become something of a burden in the age of new technologies. Decarbonization is the term sometimes used to describe Germany’s transition to renewable energy, according to which the country wants to rely on wind and solar energy rather than on fossil fuels. Yet brown coal is hindering this progress. The electricity it produces exerts downward pressure on prices and makes natural gas-fired power plants unprofitable. Natural gas, though, was supposed to bridge the gap until a functioning system for renewables, including distribution and storage, could be established. The outgoing government didn’t manage to put an end to lignite production. The open-cast mines continue expanding, consuming everything in their paths. One of the most recent victims is the A-61 Autobahn, which is to be moved by several kilometers to make way for mining operations – only to be rebuilt at its original site in 2035, once the Garzweiler II mine has eaten its way through the area. “What is happening is absolute madness,” says Dirk Jansen, director of BUND, Friends of the Earth Germany. Particularly, he adds, when you realize that no one actually wants the coal that is being mined here. Brown coal is far easier and cheaper to mine than the black coal that lies much deeper in the ground in Germany’s Ruhr Valley – a region where the phase-out of black coal mining will be completed next year. But lignite produces much less energy and is far more damaging to the environment than other fossil fuels. Even the most modern lignite power plants only have an efficiency rate of just over 40 percent. Older plants from the 1970s and 1980s, many of which are still in operation, only reach rates of around 30 percent. When it comes to the emissions of pollutants, brown coal is almost always near the top of the list – and it leads the way on CO2. If Germany turned its back on brown coal, it would have little difficulty reaching its 40 percent emissions-reduction target. But it’s not that easy. Two regions and two companies in particular rely on brown coal for their survival: the Rhineland and RWE in western Germany, and the Lausitz region and Leag in eastern Germany. The two firms combined employ 17,000 people and are fighting hard for the right to continue mining coal. We are now seeing the consequences of decades of state protection for the brown coal industry. For decades, doctrine held that that coal was the only domestic energy source and that it would be around for centuries. As a result, politicians and officials gave special privileges to RWE and other power companies when it came to lignite mining. For example, RWE was permitted to pump ground water from hundreds of square kilometers in the Rhineland to make way for its open-cast mines. This caused enormous damage to the landscape in the form of fissures, sinkholes and erosion. No one knows what will happen if the water level rises again in 20 or 30 years. Some experts fear that entire stretches of land, including villages, could be flooded. The companies have long-term contracts with the states and federal government covering the use of the land, mining rights and amounts and they have no reason to voluntarily give those up. On the contrary, were they to do so, they would be responsible for replanting the land, restoring the water balance and repairing the villages and roads that were damaged. That would cost billions, money that RWE doesn’t have yet. The company had planned to earn and set aside the money necessary for restoration in the final years of mine operation. For Leag, based in Cottbus, their problems are compounded by the fact that they are owned by Czech investors who only recently bought the company from the energy giant Vattenfall. There are some who speculate that the Czech investors only bought Leag because they assumed that the state would eventually have to step in and buy it and take over the costs of land reclamation. 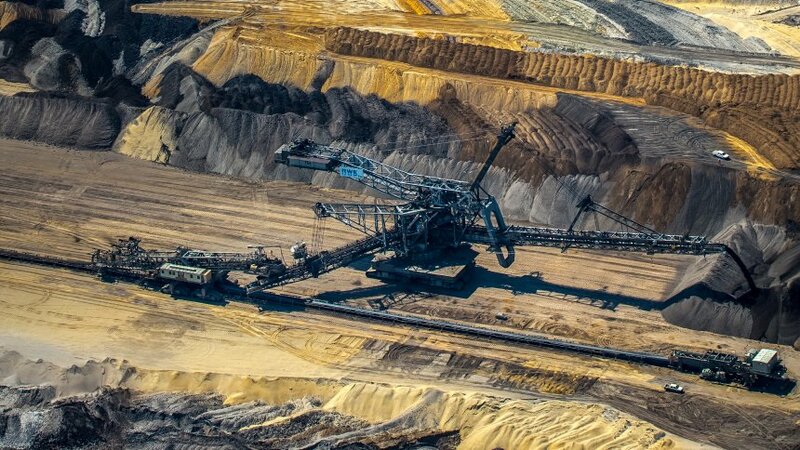 The Agora Energiewende think tank has calculated the monetary costs of an environmentally-friendly end to Germany’s lignite era at 17 billion euros by 2040. But many in eastern Germany fear this figure is far too low. In addition to the actual costs of structural change, they also believe there will be a severe political price to pay if it all goes wrong. The region is still hugely proud of the “black gold,” while mining jobs are highly prized and pay above average wages, according to “Structural Change in Lausitz,” a study carried out by the universities of Dresden and Cottbus-Senftenberg. If those jobs go, there won’t be anything to replace them on the short term. It is a region that has already dealt with enormous change in recent decades. Of the 80,000 jobs in brown coal mining when it was still part of the former East Germany, only 8,000 remain. The area has undergone a “demographically-linked depletion,” that is “deeply ingrained in the collective memory of the region.” People have been left with “a strong feeling of how precarious their own living conditions can be,” the study concludes. And far-right parties know how to tap into these feelings. The group Pro Lausitzer Braunkohle (Pro Lausitz Brown Coal) recently sent a paper on the issue to parliamentarians in Berlin. In it, they warn of a “societal collapse” in the region. The activists added up the votes cast the Lausitz electoral precincts in last September’s general election. Their results show that the right-wing populist Alternative for Germany ended up with 168,000 votes, making it the most popular party in the region ahead of the Christian Democrats’ 149,000 votes. And it isn’t an issue that politicians can expect to benefit from. The outgoing governor in Saxony, Stanislaw Tillich of the Christian Democrats, learned that the hard way. In view of a potential lignite phase out, he proposed the creation of a 6.2-billion-euro fund to deal with structural change. In western Germany, abandoning lignite is less of a political than a fiscal headache. That is largely to do with RWE, the once proud energy giant, and its particular history. For many decades, shares in the Essen-based company were considered money in the bank. Which is why many towns in the Ruhr region invested in the firm. In the good times, the investments produced tidy profits for the towns’ coffers. But if RWE were forced to abandon profitable lignite mining, those towns would lose out on the energy company’s dividends. And many communities in the Rhine and Ruhr regions are already facing bankruptcy. That is one reason why the new governor of North Rhine-Westphalia, Armin Laschet of the CDU, played hardball with the Greens over the issue of brown coal during coalition talks in the state. Furthermore, Laschet knows that the profits from brown coal plants have already been earmarked to finance the phase-out of nuclear power. If those plants are shut down, the state would then not only have to pay for the reclamation of the open-cast mines but also for the expensive demolition of the nuclear power stations. That is why energy companies would demand either compensation from the state or they would drastically increase electricity bills were lignite to be prematurely phased out. There is already an elegant solution at hand, at least from the view point of the politicians. Three coal plants which have essentially been taken offline are standing by as a kind of insurance policy should the the German electricity grid need them. The companies operating these dormant power plants will receive 1.6 billion euros over the next four years, paid for by electricity customers. The Bundesnetzagentur, the federal agency responsible for overseeing the country’s energy supply, would likely be able to fold other lignite-fired power plants into that reserve capacity. RWE has indicated to the federal government that it would be prepared to abandon operating the brown coal plants in return for this transitional payment. There is, however, another way to reduce CO2 emissions quickly and sustainably: an increase in the price of emitting CO2. Energy companies like EnBW and E.ON have suggested increasing the price of a ton of CO2 emissions from the current level of 6 euros to at least 25 euros, and eventually 30 euros. The appeal is obvious: It would essentially mean that energy sources like solar, wind, hydro and even natural gas, all of which emit relatively low levels of CO2, would be subsidized. Meanwhile, other materials like oil, black coal and particularly brown coal, would become a lot more expensive. Their use as energy sources would hardly be financially viable. This would lead to a reduction of environmentally unfriendly coal-fired power plants involved in electricity production. “A fair CO2 price, standard across the EU, would be the right way to implement the energy transition,” says Johannes Teyssen, boss of the energy giant E.ON, which last year spun off its fossil-fuel business into a different firm. But what about all the people working in the brown coal industry? Everything can be made to look nice on paper. The energy experts at the Agora think tank produced a study for Lausitz suggesting the establishment of a Fraunhofer Institute, which would create a research hub to replace the fossil-fuel reliant industry. “An economically prosperous country like Germany can handle the transformation of the region without major economic problems,” says Patrick Graichen, head of Agora. At least in theory. A “future workshop” has just opened in Lausitz, which is working on strategies for the region up to 2020. There’s a company called Innovation Region Lausitz, which is cooperating with chambers of commerce and universities to find solutions. So far 70 projects have been identified that could boost growth in the region. That could lead to new business opportunities and markets in cities like Berlin, Dresden and Leipzig. Whether such projects can ever replace the 20,000 jobs that directly and indirectly rely on brown coal in the region is doubtful.